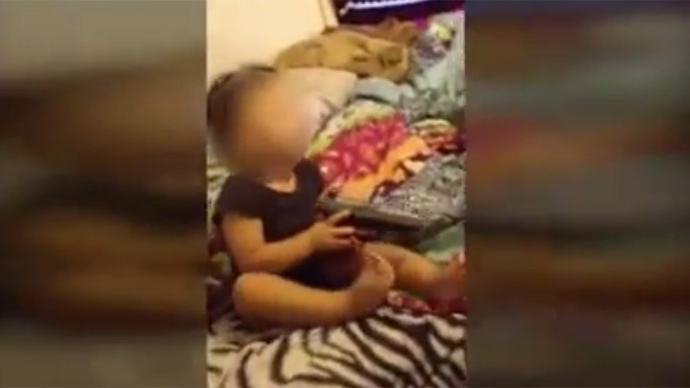 A couple is under investigation after authorities say they discovered cellphone videos showing their one-year-old daughter toying with a handgun, at one point placing the weapon in her mouth. Police in Indiana found the videos when a 19-year-old male was arrested after attempting to sell a handgun to an undercover police officer, AP reported. According to police, the man and the girl's 22-year-old mother did not try to stop the toddler as she put the gun, described as a 0.40-caliber handgun, in her mouth. Police say the mother insisted her daughter was holding a pellet gun; investigators believe it was a real handgun. From the video they say the gun’s magazine appeared to be removed, although there may have been ammunition left in the chamber. The two adults face multiple charges, including child neglect and recklessness with a deadly weapon.